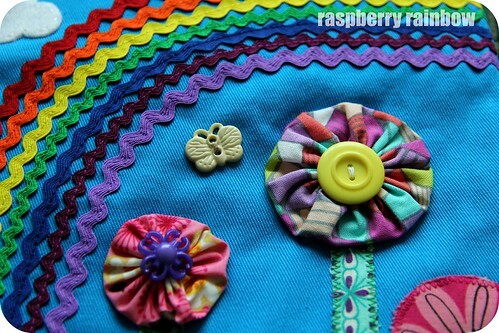 Raspberry Rainbow: Shall I sew us a ric rac rainbow? 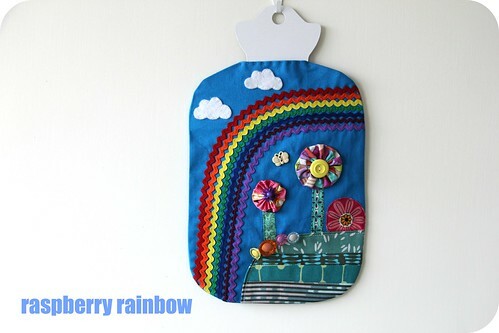 Shall I sew us a ric rac rainbow? I am writing this from freezing cold Melbourne (Australia) We are visiting friends and family as the girls are on Hong Kong summer school holidays. It has been great to get some respite from the heat and humidity of Hong Kong. I am missing home though. We are all missing the Shropshire boy/daddy. We will be home next week, and school commences again for Abbey in the middle of August. The Margaret Pratt Foundation Heart Lung Transplant Trust is a registered charity whose aim is to encourage, develop and maintain Australia's world class expertise in the field of organ transplantation by supporting research that addresses the problems faced by children and adults after heart and lung transplant. If you know Cam or follow her CurlyPops blog, you will already know she is the recent recipient of a double lung transplant. 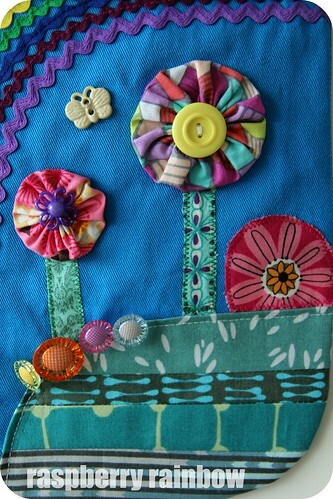 She has been given the gift of a new life. The hottie challenge is important to her. 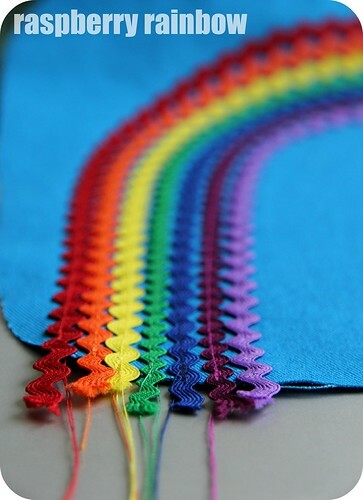 My entry to the hottie challenge was an idea I have had rattling around in my head for months: to make a rainbow out of ric rac. I love how it turned out. 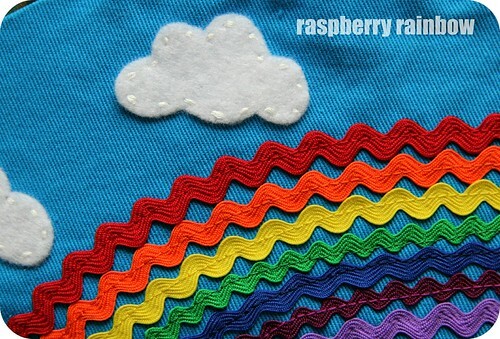 This will not be the last ric rac rainbow you will see in the land of the Raspberry Rainbow. When I get back to Hong Kong, I have plans. Ps I agree, it is very cold here in Melbourne. That is so lovely Cat, perfect for this freezing cold Melbourne winter! 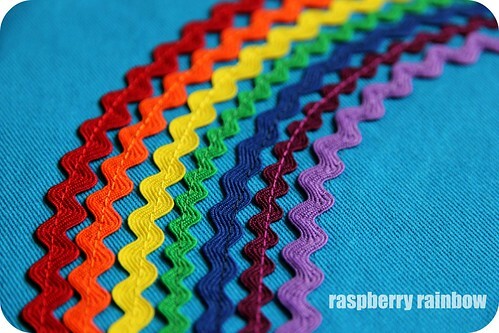 This is wonderful, perfectly fitting for a Raspberry Rainbow to have sewn!